Dr. O'Leary is an emeritus professor of surgery and Executive Associate Dean for Clinical Affairs at the FIUHWCOM. Dr. O’Leary has a distinguished career as an academic surgeon. He has more than 50 years of clinical experience. Dr. O’Leary obtained his MD at University of Florida in Gansville, FL. He started his surgical residency in 1968 at Gainsville, FL. Ascending in a fast track in a surgical career, he became a professor of surgery and chief of surgery, in 1978, at Vanderbilt University, Nashville, TN. He also practiced and taught surgery in Baylor University, Dallas, TX, and Louisiana State University, New Orleans, LA. He served as Chairman of Surgery and Dean of the medical school at LSU, New Orleans. He still is still is an Emeritus Chairman of Surgery at LSU. Dr. O’Leary is one of the founding executive deans for Florida International University Herbert Wertheim College of Medicine, Miami, FL. He brought together a core clinical faculty and practice sites for the fledgling FIU College of Medicine. Dr.O’Leary has played piviotal roles in shaping academic surgery structure in the US. He served as Chairman of Executive Committee Board of Governers and as 1st Vice President of American College of Surgeons. He has held several additional leadership positions with the National Board of Medical Examiners, has served as the president of the Southeastern Surgical Congress, the Association of Program Directors of Surgery and as the first vice president of the Southern Surgical Association. Dr. Yuman Fong is a graduate of Brown University (BA, Medieval Literature, 1981) and Cornell University Medical College (MD, 1984). After surgical training at the New York Hospital/Cornell Medical Center and surgical oncology fellowship at the Memorial Sloan-Kettering Cancer Center, he was appointed to the faculty of the Memorial Sloan-Kettering Cancer Center. There he served on staff for over 20 years, and held the Murray F. Brennan Chair in Surgery. He is currently the Chairman of the Department of Surgery at the City of Hope Medical Center, and holds the Sangiacomo Chair in Surgical Oncology. 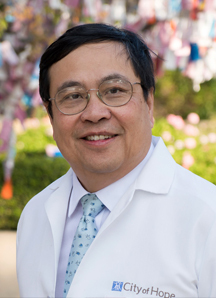 Dr. Fong is best known clinically for his extensive work in the field of liver and pancreatic surgery––especially for pioneering many laparoscopic, robotic and ablative therapies for these cancers. He has assisted in the design and deployment of many novel surgical tools. Dr. Fong has also been active in biologic bench investigation. His early research was in immune activation during cancer or infection. He was part of the group that discovered tumor necrosis factor and helped established the field of innate immunity. His laboratory focus over the last 15 years has been in the field of gene therapy, designing and studying the use of genetically modified viruses for the killing of cancer. His group was the first to administer recombinant viruses into the blood stream of man as a cancer treatment. His leadership in this field on the national level has included serving as the Chair of the Recombinant DNA Advisory Committee (RAC) of the National Institutes of Health. 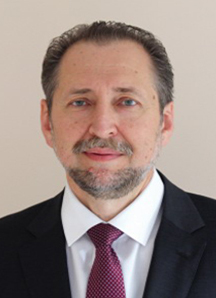 Dr. Yuri E. Nikiforov, MD, PhD is Vice-Chair for Molecular Pathology and Director, Division of Molecular and Genomic Pathology at University of Pittsburgh Medical Center. He is an innovator and a thought leader in thyroid oncology. Dr. Nikiforov’s clinical interests and expertise include the genetics and pathology of thyroid cancer. He has received international acclaim for his extensive research which includes the discovery of several novel types of chromosomal rearrangements and findings that have linked chromosomal rearrangements in thyroid cancer to exposure to ionizing radiation. These discoveries have been reported in journals including Science, Journal of Clinical Investigations, and Proceedings of the National Academy of Sciences of the USA. He has developed the Thyroseq molecular and genomic profiling test for evaluation of thyroid nodules and thyroid cancer. Dr. Nikiforov’s current research efforts focus on the identification of novel mutations in thyroid cancer using next-generation sequencing, and the application of current knowledge in molecular genetics of thyroid cancer to the clinical management of patients with thyroid nodules. Dr. Nikiforov received his medical and doctoral degrees from the Minsk Medical Institute in Belarus. He completed his residency in anatomic pathology at the University of Cincinnati and postdoctoral fellowships in pathology and endocrinology at Brown University and Cedars-Sinai Medical Center. He is an author of more than 120 peer-reviewed articles and more than 10 book chapters, and is a senior editor of the popular textbook “Diagnostic Pathology and Molecular Genetics of the Thyroid.” He is an elected member of the American Society for Clinical Investigation and has received many honors, including the prestigious Van Meter Award from the American Thyroid Association. Bonnie Reiter-Lehrer has over 35-years’ experience in Marketing and Communication in non-profit management. Her specialty is in the areas of branding, crisis communications, project management, collateral development, digital and online marketing as well as special events. She has produced award-winning films and documentaries and nationally recognized public relations programs garnering earned media. As the Chief Marketing & Communications Officer for the Greater Miami Jewish Federation, Bonnie leads the organization’s communications and marketing strategy and executes programs and projects that engage a variety of stakeholders and attract positive media attention. Stanley J. Goldsmith, M.D. has been Professor of Radiology and Professor of Medicine at the Weill Medical College of Cornell University since 1995. He served as Division Chief of Nuclear Medicine, Department of Radiology at The New York-Presbyterian Hospital /Weill Cornell Campus and from 1995 through 2012. Prior to these appointments, from 1992-95, Dr. Goldsmith was the Clinical Director of the Nuclear Medicine Service, Attending Radiologist and Member at the Memorial Sloan-Kettering Cancer Center (MSKCC) in New York City and Professor of Radiology at the Cornell University Medical College. Dr. Goldsmith completed his undergraduate education at Columbia College, Columbia University and was awarded the B.A. degree in 1958. He received his M.D. degree from the SUNY Downstate Medical Center in 1962. Dr. Goldsmith was President of the Society of Nuclear Medicine in 1985-86 and Editor-in-Chief of the Journal of Nuclear Medicine from 1994-1999. He was a Director of the American Board of Nuclear Medicine from 1990-1996 and served as Treasurer of the Board from 1995-96. 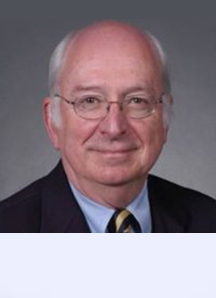 He has served as Chairman of Committees and Councils of the Society of Nuclear Medicine including the Government Relations Committee, the Joint SNM-ACNP Government Oversight Committee, the Radioassay Council and served a 2 year term as President of the Therapy Council of the Society of Nuclear Medicine. Dr. Goldsmith has received numerous awards, including the Distinguished Educator Award from the Society of Nuclear Medicine and Excellence as a Teacher in Radiology from his alma mater the State University of New York Downstate College of Medicine. Dr. Goldsmith is the author of approximately 150 scientific articles, 21 book chapters, 27 invited articles and reviews and over 250 scientific abstracts. Alejandro Amor Coarasa, PhD currently works at the Department of Radiology, Weill Cornell Medical College. 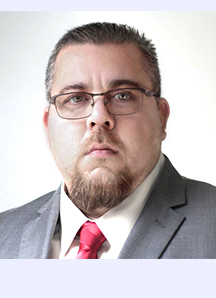 Dr. Amor does research in Radiopharmacy, Radiohemistry and Molecular Imaging. The leading projects are 'Imaging and Therapy of the Chemokine Receptor CXCR4' and 'Radioligand therapy of prostate cancer'. The philosophy is to discover, test and optimize PET and SPECT molecular imaging agents and targeted radiotherapeutics for swift clinical translation. Although basic science is of vital importance for our endeavor, we mainly focus in projects with the potential to produce a fast and meaningful impact in patient outcomes. Dr. Berkman is an Associate Professor and founding Chief of Medical Oncology for the Herbert Wertheim College of Medicine of the Florida International University. Dr. Berkman graduated with high honors in zoology from the University of Maryland in 1971. He then attended the Case Western Reserve University School of Medicine where he earned his M.D. and Ph.D. (Pharmacology) in 1977. He completed a residency in Internal Medicine at the Baltimore City Hospitals in 1980 and his fellowship in Medical Oncology at the Johns Hopkins Oncology Center in 1982. He is board certified in Medical Oncology and Internal Medicine. Following completion of his fellowship, Dr. Berkman continued to serve as Instructor in Oncology at Johns Hopkins where he participated in programs in lymphoma and lung cancer. He has served as an Eastern Cooperative Oncology Group (ECOG) hematology committee principal investigator. His early research interests included ribosomal RNA metabolism in leukemia, graft-versus-host disease and immune thrombocytopenia associated with lymphoma. He has participated in clinical trials involving new drug regimens for the treatment of lymphoma and small cell lung cancer. His work has been published in major journals and has been presented at conferences. In 1983, Dr. Berkman was appointed Chief of Medical Oncology at Harbor Hospital Center in Baltimore where he directed cancer services for twenty years. In that position he created a free standing community cancer center offering all modalities of cancer care and developed multidisciplinary programs in lung cancer and breast cancer. His program incorporated clinical trials through affiliation with ECOG and the pharmaceutical industry. He also was the founding partner of Chesapeake Oncology/Hematology Associates, a large multispecialty group. Dr. Berkman has also served as a local chapter president for the American Cancer Society and as a clinical hospice director. 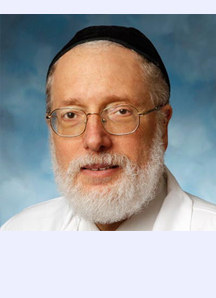 Dr. Berkman treats all solid tumors and lymphoma. He also has extensive experience in the diagnosis and treatment of hematologic disorders. Dr. Viamonte is the Associate Dean for International Affairs at Florida Intenational University Herbert Wertheim College of Medicine. He is a third generation physician and graduate of the University of Havana School of Medicine. He did his internship at the University Hospital of Havana and then a residency in radiology at The Hospital of the University of Pennsylvania, Children’s Hospital of Philadelphia, and a fellowship at the Registry of Radiological Pathology, Armed Forces Institute of Pathology, Washington D.C. He received a master’s degree in radiology at the University of Pennsylvania, and became board certified in 1960. Dr. Viamonte is former chairman of the Department of Radiology and Director of the Diagnostic Radiology Residency Program at the UM School of Medicine/ Jackson Memorial Medical Center. He has published 250 scientific papers and 20 books. Dr. Daniel Weingrad is a Surgical Oncologist board-certified in general surgery. Dr. Weingrad has over three decades of surgical experience in the diagnosis and care of patients with cancer. He is an experienced breast surgeon. 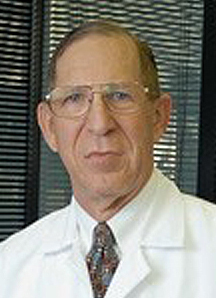 Bennett S. Greenspan, M.D., MS, FACNM, FACR, professor of radiology at the Medical College of Georgia, Augusta University, in Augusta, GA. He served as 2017-18 president of the Society of Nuclear Medicine and Molecular Imaging (SNMMI). Consistent with his keen interest in ensuring that nuclear medicine delivers the highest quality of care, Greenspan serves on the SNMMI Quality and Evidence Committee, is a reviewer for quality assurance in nuclear medicine for the American College of Radiology (ACR), and was a member of the PET Quality and Reporting Task Force of SNMMI’s PET Center of Excellence. 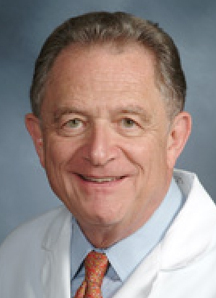 Prior to his position as professor of radiology at the Medical College of Georgia at Augusta University, Dr. Greenspan worked at the Mount Sinai School of Medicine in New York, N.Y.; University of Rochester in Rochester, N.Y.; University of Missouri-Columbia; and Washington University in St. Louis, MO. Dr. Greenspan holds a Master of Science degree in medical physics from the University of California, Los Angeles, and earned his medical degree at the University of Illinois in Chicago. Greenspan is devoted to teaching clinical nuclear medicine, as well as nuclear medicine physics and radiation safety. His research and scholarly interests include PET/CT imaging in oncology, especially using PET imaging to further characterize malignancies and the effects of low-level radiation. He has been a co-investigator on 11 grants. 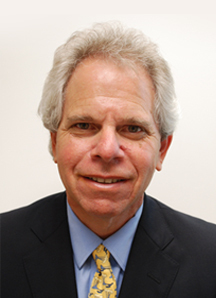 Dr.Greenspan is a Fellow of the ACR and the American College of Nuclear Medicine (ACNM). He currently serves on the boards of the American Board of Science in Nuclear Medicine and the Nuclear Medicine Technology Certification Board. He is past chair of the SNMMI Committee on Councils and served as co-chair of the ACR Nuclear Medicine Procedure Guidelines Committee. He has been president of the American College of Nuclear Physicians (ACNP) and the American Board of Science in Nuclear Medicine. At SNMMI. Greenspan continues to serve on numerous committees and task forces of the SNMMI, ACNM, ACR, Radiological Society of North America, Association of University Radiologists, AAPM and NMTCB. Dr. Weingrad graduated from Columbia University in New York and Harvard Medical School in Boston, Massachusetts. He did his surgical residency at the Peter Bent Brigham in Boston and was Chief Resident at the University of Maryland Hospital. He completed surgical oncology fellowships in the Surgery Branch, National Cancer Institute and Memorial Sloan-Kettering Cancer Center in New York. Dr. Weingrad is an active Fellow of the American College of Surgeons, Society of Surgical Oncology, American Society of Breast Surgeons and American Society of Breast Diseases. He served as the President of the Florida Division of the American Cancer Society and now serves as an Honorary Life Member of the Board of Directors. 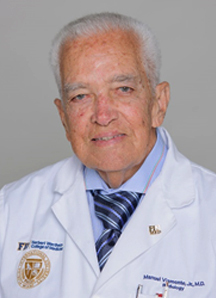 He is on the faculty of FIU Medical School and is the Head of the Surgical Oncology Service for the HCA Surgical Residency Program at Aventura Hospital. Mr. Goldfarb has over 35 years of legal experience and over 20 years of experience in the pharmaceutical industry. He was President and General Counsel of Accubreak Pharmaceuticals Inc from 2007 until recently when he began his own practice. Mr. Goldfarb has been and is currently a board member for a number of privately held pharmaceutical companies located in New York and Florida. He obtained his bachelor’s from the University of Connecticut and his J.D. from the University of Florida. He is a member of the Florida Bar. Ms. Stephanie Bruder holds Master’s and Bachelor’s Degrees in Education and Counseling. 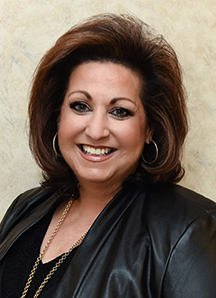 She spent many years in private practice helping families cope with special needs, educational challenges and incorporating strategies as well as one-to-one coaching into their lives. She has dedicated her life to public service and to enhancing the lives of children and those most vulnerable facing chronic health issues. 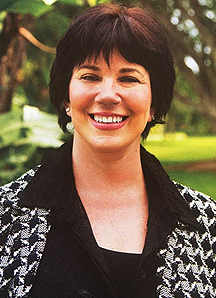 Ms. Bruder currently serves as the Mayor of Bay Harbor Islands, Florida. Stephanie was deeply touched by the ravaging effects of cancer while watching her beloved father fight a difficult battle. She has committed herself to helping to support efforts to finding cures for various cancers through research, community outreach, education, patient advocacy and early detection. Marc A Saltzman, M.D., is Medical Director/President of Innovative Medical Research of South Florida and has been participating in Clinical Trials for more than 22 years. He has conducted over 200 clinical trials in the area of Oncology and Internal Medicine as either Principle Investigator or Sub-Investigator. 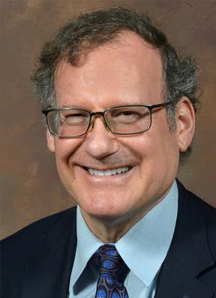 Dr. Saltzman has served as Medical Director and Principle Investigator at Parkway Research Center and conducted more than 100 Phase 1 Clinical Trials including many first in human and several Phase 1 trials in Parkinson’s patients. He also served as Medical Director and Principle Investigator at Translational Clinical Research and has conducted numerous Phase 0 through Phase 2A (proof of concept) trials in healthy volunteers, asthma and heart failure. 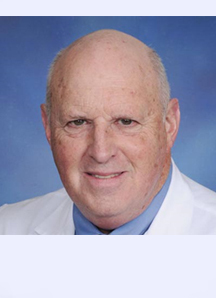 Dr Saltzman was an Associate Professor at the University of Miami School of Medicine for the last 38 years teaching residents and students. Past President and Community Activist for the American Cancer Society. Volunteer and Medical Liaison Committee Member for the Leukemia Lymphoma Society. Co-Director of the South Florida Adult Asthma Support Group. Dr Saltzman is a graduate of the University of Pittsburgh School of Medicine and trained at the University of Miami School of Medicine.